Artemide: The Artemide Group is based in Pregnana Milanese, Italy. 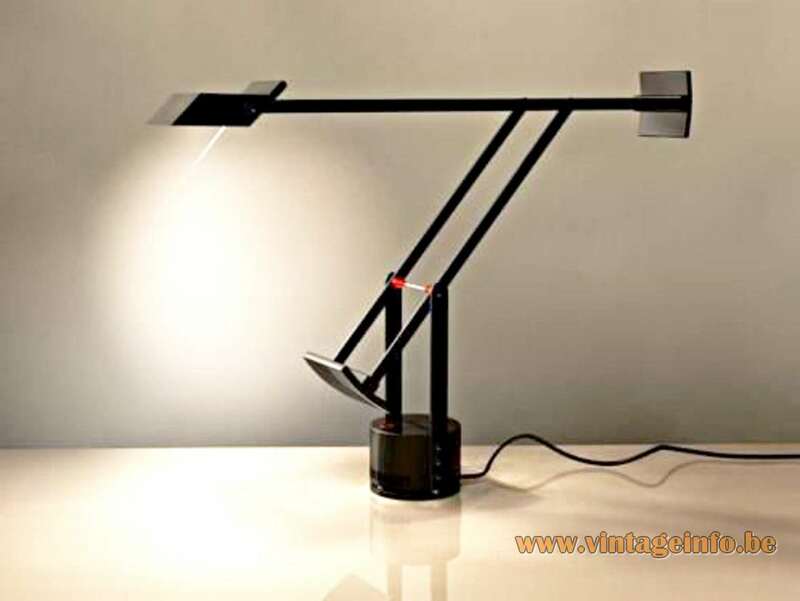 The company is best known for the Tizio desk lamp designed by Richard Sapper, the Tolomeo desk lamp designed by Michele De Lucchi and Giancarlo Fassina in 1986 and many other beautiful lamps en furniture they produced during the years. Designers who have collaborated with the company include Vico Magistretti, Mario Botta, Sir Norman Foster, Ettore Sottsass, Enzo Mari, Neil Poulton, Karim Rashid, Giò Ponti and many others. A white version of the Tizio was used as a prop in the 1979 James Bond film Moonraker with Roger Moore. The round white lamp on the right is the Artemide Vacuna, desgined in 1968 by Eleonore Peduzzi Riva (born in Milan in 1939). 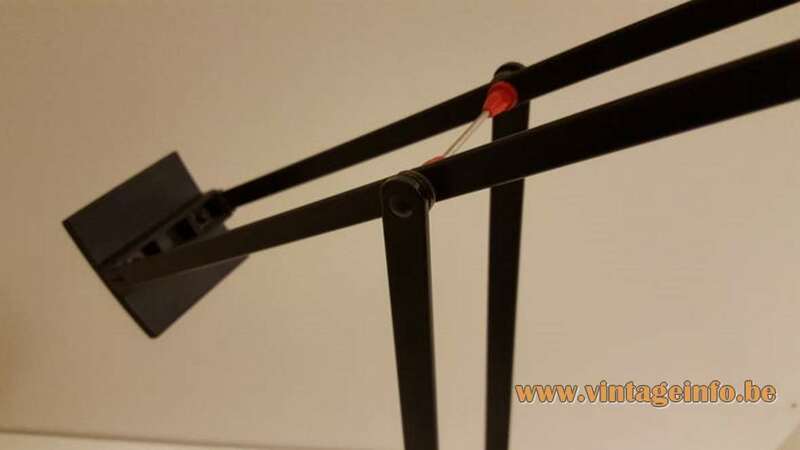 Materials: Black painted aluminium rods, counterweights, rectangular lampshade. 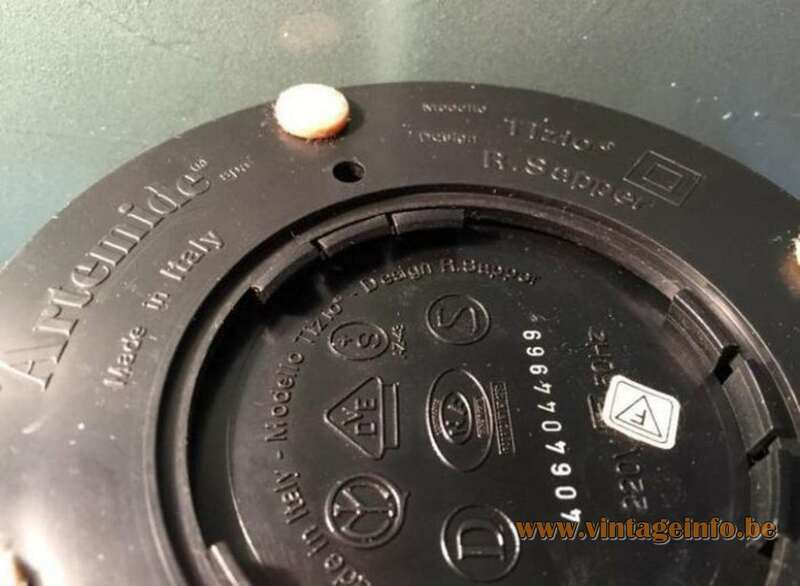 transformer inside the round base made of ABS plastic. Porcelain halogen socket. Electricity: Halogen bulb 12 volt, maximum 55 Watt, 110/220 Volt. Designer: Richard Sapper (1932 – 2015). 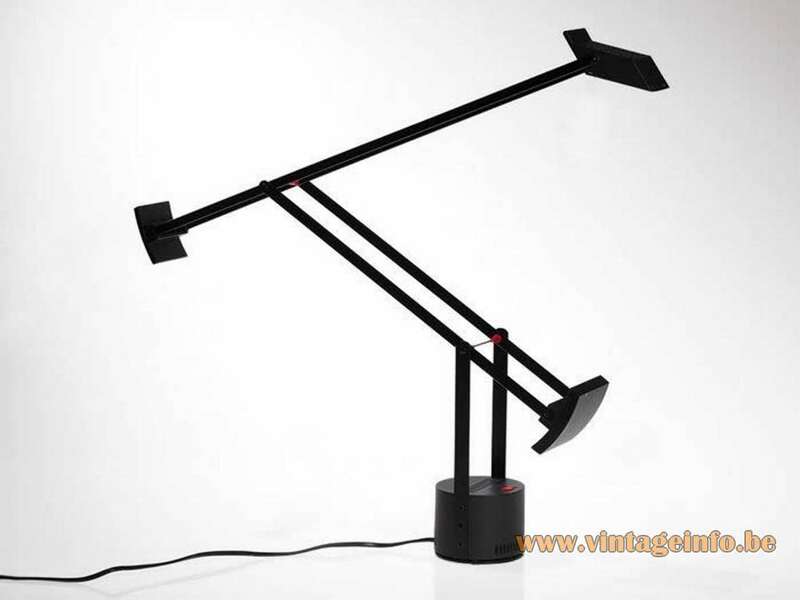 Manufacturer: Artemide S.p.A., Pregnana Milanese, near Milan, Italy. 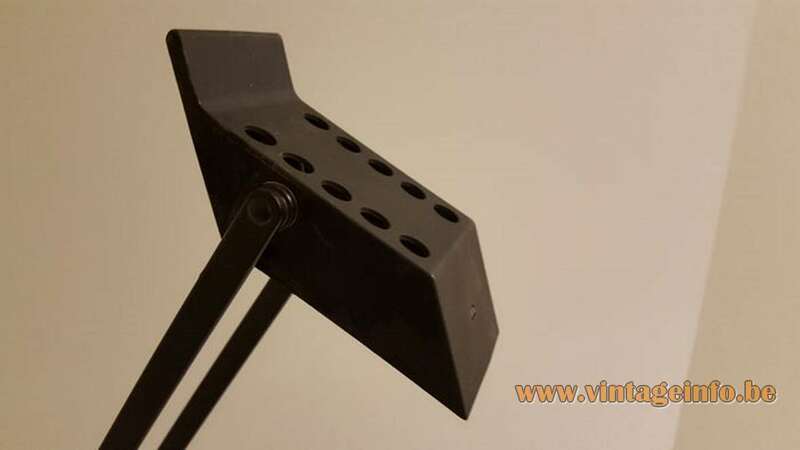 Other versions: The smaller version of the Tizio is the “Tizio 35“, the floor version is named “Tizio Terra 50“. These lamps are still in production and all spare parts are for sale. 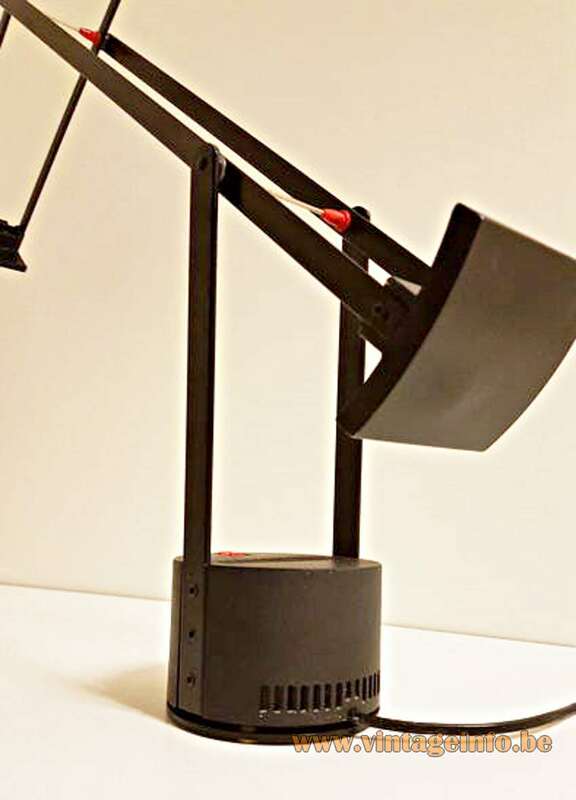 This Tizio desk lamp is designed in 1971 and went in production in 1972. 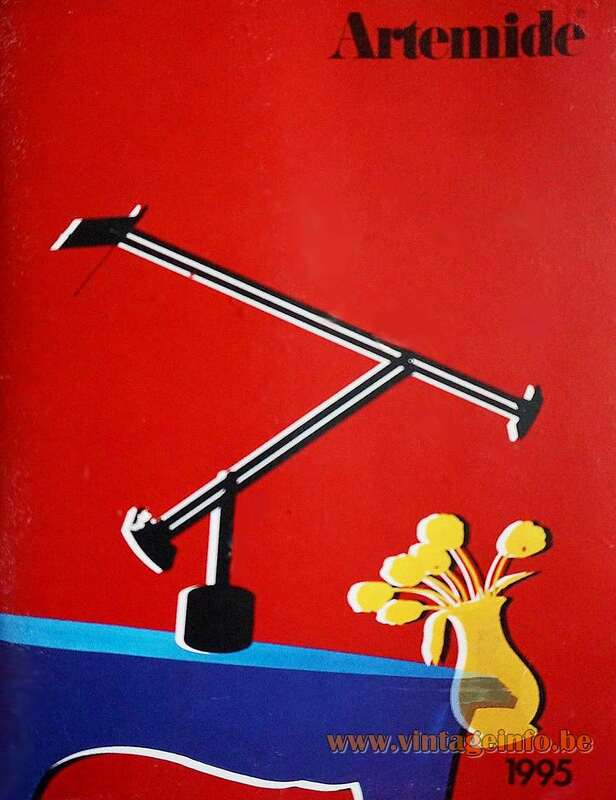 You can find it in the Artemide catalogue from 1973 here on Vintageinfo, and also in the Artemide catalogue from 1976. The Tizio 50 can be placed in any position one desires. 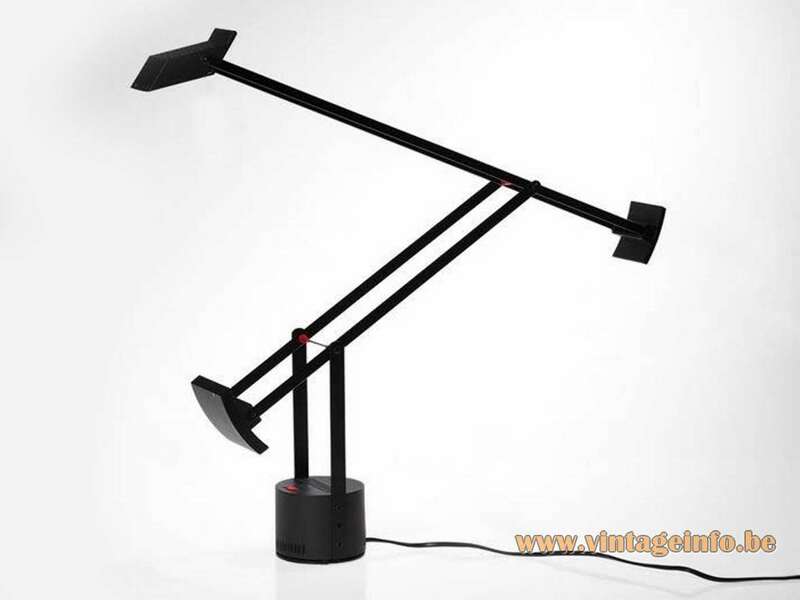 Its two counter-weights will always keep this desk lamp in balance. The electricity runs from the base, true the metal arms, to the light source. So there is no cord visible, other than the one that runs from the base to the electrical socket. This was quite innovational at the time Tizio 50 was designed. 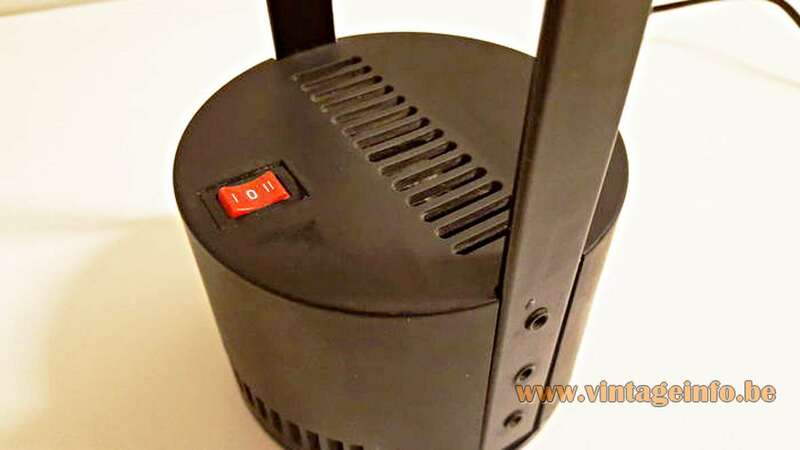 And it is absolutely not dangerous, since the light transforms its power to very low voltage (12v) in the base. Richard Sapper (30 May 1932 – 31 December 2015) was a German industrial designer. After pursuing courses in philosophy, anatomy, and engineering, he graduated with a business degree from the University of Munich. He is considered one of the most important designers of his generation and his products typically feature a combination of technical innovation, simplicity of form and an element of wit and surprise. Sapper received many international design awards. His products are part of the permanent collections of many museums around the world, the New York’s Museum of Modern Art (MoMA), as well as London’s V& A, the Victoria and Albert Museum. 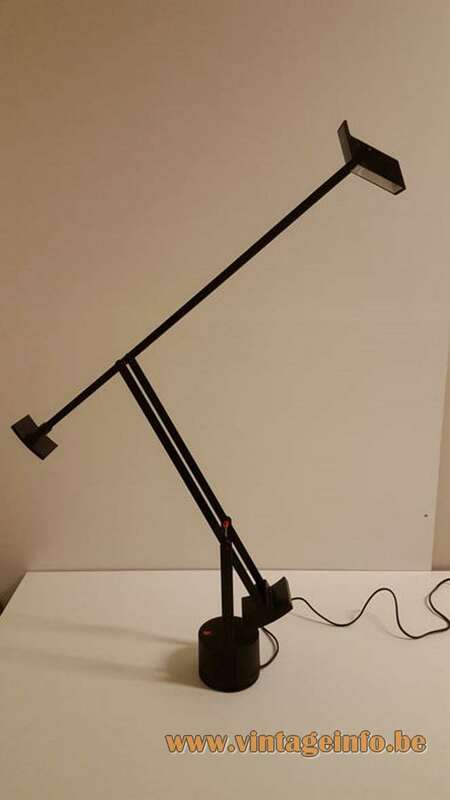 The Artemide Tizio 50 desk lamp was used as a prop in the 2017 legal drama film Roman J. Israel, Esq. A movie written and directed by Dan Gilroy starring Denzel Washington, Colin Farrell, and Carmen Ejogo.